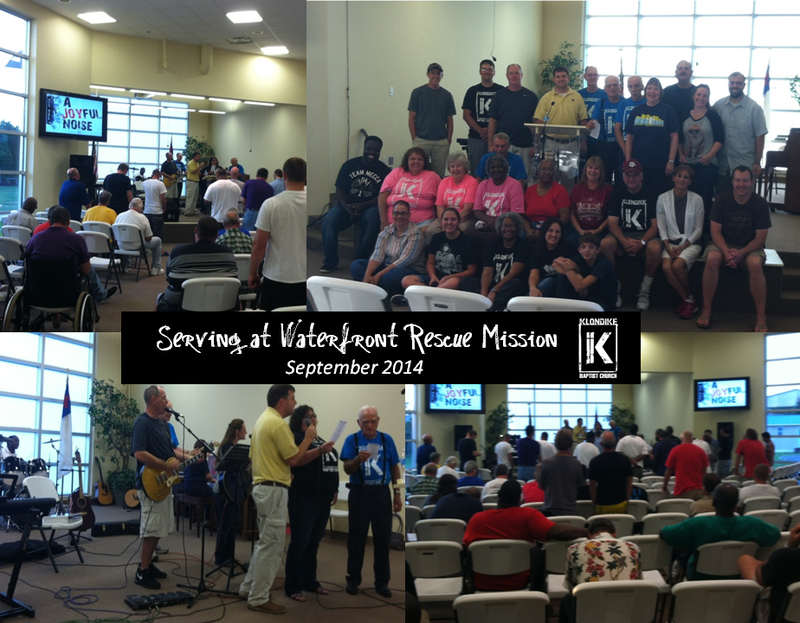 Klondike Baptist Church seeks to partner with the Waterfront Rescue Mission to share the love of Christ and be the Church. Klondike serves a meal monthly at the mission, and then shares a service of worship with the men at the shelter and in the program. It is a great blessing of God to prepare and serve a full service meal with anywhere from 100-150 people, and then worship with the men and have the privilege to pray with them and see many come to Christ. You are invited to sign up and join us in this vital outreach of the church.